The third movie adaptation of Charles Dickens’ classic tale – after versions released in 1908 and 1910 – Harold M. Shaw’s masterful retelling remains a must-see for fans of the original story, and for fans of silent cinema as well. Shaw’s interpretation retains most of the key elements and scenes from Dickens’ novella, and thanks to a roster of good performances, brings them to life with a minimum of frenzied arm waving or histrionic face-pulling. The story begins as ever in the counting house of Ebenezer Scrooge (Rock). His lowly clerk, Bob Cratchit (G. Bellamy), makes the mistake of lighting a piece of coal in the fireplace in an effort to keep warm. Enter Scrooge, aghast at Cratchit’s nerve, removing the coal, and throwing a couple of sprigs of holly down onto the floor for good measure. Not even a visit from his nephew, Fred (F. Bellamy) and his niece, Belle (Flugrath) with an invitation to join them at Xmas, can overcome his mean-spirited mood. And as if that wasn’t enough, he has to contend with a visit from two charity workers looking for donations. What’s a miser to do with all these demands on his time and his money? The answer is make no changes whatsoever. At the end of the day, Scrooge visits a local tavern; even there his attitude spoils the evening for the other patrons. Meanwhile, Cratchit has returned home to the bosom of his family, and with his wife (Brough) and children – including poor old Tiny Tim – is able to be happy and carefree. Scrooge arrives home, but is startled to see the face of his old business partner, Jacob Marley (O’Neill), appear in place of the door-knocker. Scrooge, rattled by this, retires to bed but is soon visited by Marley’s ghost, who warns the old skinflint that he’ll be visited in turn by three ghosts. This is a fine, straightforward adaptation that tells a very familiar story with a great deal of invention and, on occasion, wit. That it’s very faithful to its source is another aspect that helps the movie provide an entertaining experience, and Shaw handles the various scenes where Scrooge behaves atrociously with a restraint and a purpose that rescinds any idea that he wants to make an out-and-out melodrama. 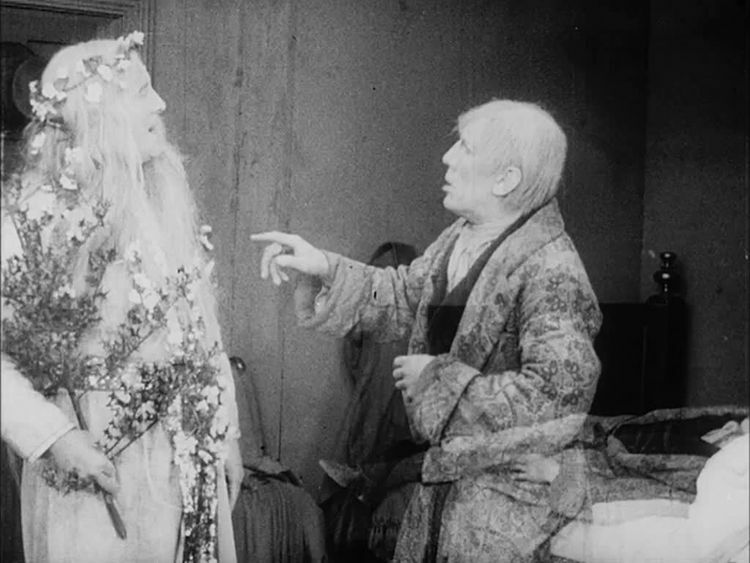 With his cast restricted from making too many broad, sweeping gestures with their arms – a staple of early movie making – or wild, gurning faces, Shaw ensures that, by playing it as naturally as possible, the audience reaps the reward of seeing more genuine feelings and emotions than would have been the norm back in 1914. Of course, there’s still the odd moment where this still happens, but they don’t detract from the overall effect. Another plus is the decision to make Scrooge’s experiences with Marley and the three Ghosts a matter of his viewing things and events as seemingly a ghost himself. 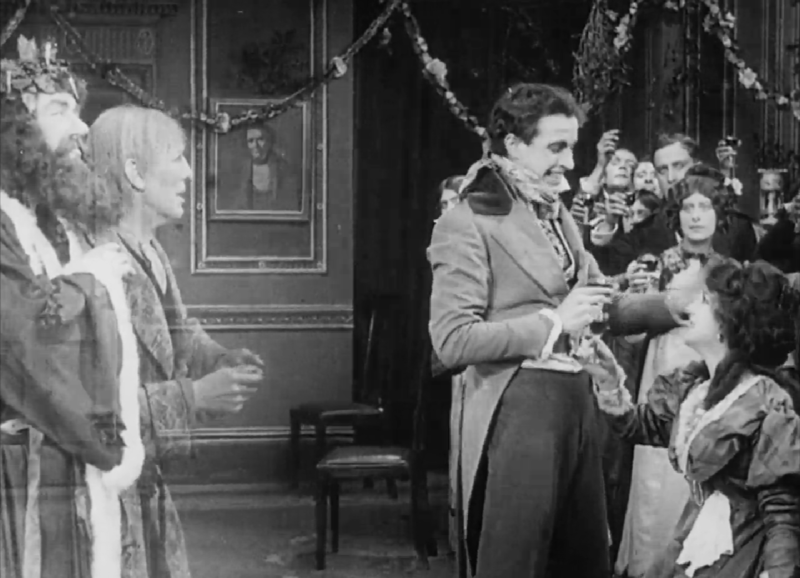 Using the simple technique of super-imposition, Shaw has Scrooge appearing as transparent as the Ghosts are themselves, a trick that reinforces the lack of control Scrooge has over these ghostly ministrations, and makes for some interesting scene transitions. If you look carefully as the Ghost of Christmas Past takes Scrooge away from the “safety” of his bedroom, you’ll see the old miser begin to dematerialise slowly as they leave the room. It’s not a flashy effect, by any means, but it is a neat little touch that adds greatly to the effectiveness of the scene. Again, Shaw is helped greatly by his cast, who all portray their roles with a credibility that anchors the story, and stops it from becoming just another costume drama, albeit one derived from a much-loved classic of literature. 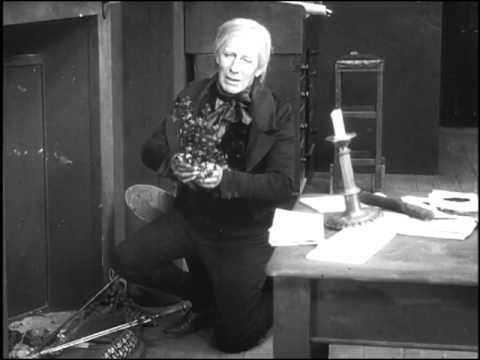 Rock is a convincing miser, but is most effective when realising the error of his ways, his despair and dismay written plainly on his face; when Scrooge is confronted with his tombstone, a moment that could have provoked an excessive amount of gesticulating and wild expressions, Rock conveys his character’s shock and horror with a minimum of fuss, and still manages to convey the utter terror that has been instilled in him. As Bob Cratchit, George Bellamy provides a more mirthful performance, his wide-eyed surprise at his employer’s behaviour always a pleasure to witness lurking in the background, and balanced by the mournful look he gives when he donates what little money he has to the charity workers. It’s a moment that perfectly encapsulates the difference between the two characters, and also the reason why Cratchit has no qualms about drinking a toast to Scrooge at Xmas-time: he’s too good at heart not to. Elsewhere, O’Neill is a suitably mournful Jacob Marley, Brough is an amiable presence as Mrs Cratchit, and each of the Ghosts is presented (mostly) in the way that Dickens originally conceived them (seeing Tonge’s face does let the side down, though). 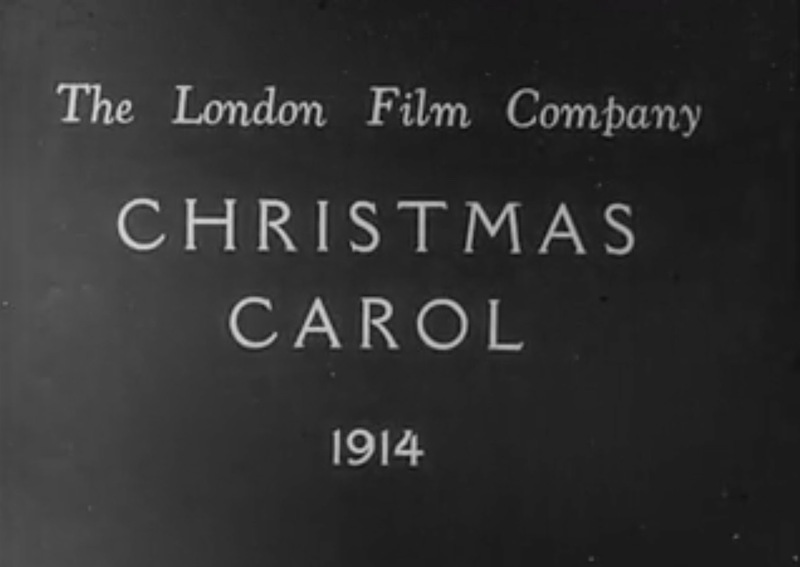 Rating: 8/10 – an atmospheric, sensitively handled version of Dickens’ classic tale, A Christmas Carol proves that silent era movies weren’t all about the “grand gesture” but could be considered, thoughtful, and emotionally astute; it’s all too easy to overlook silent movies that adapt literary successes, but when one is as successful at condensing the material as well as this movie does, then it shows that anything is possible – just like a committed miser having a change of heart. NOTE: Unsurprisingly, there is no trailer for this movie.